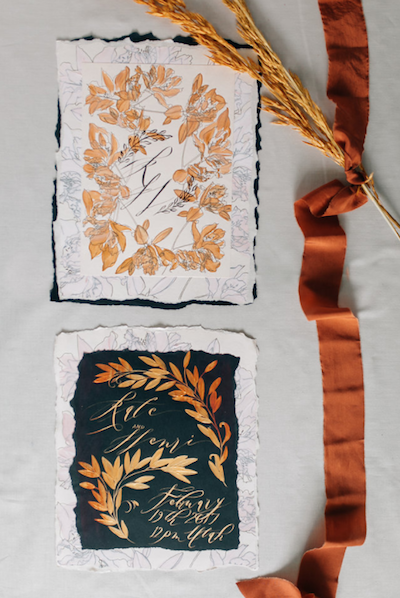 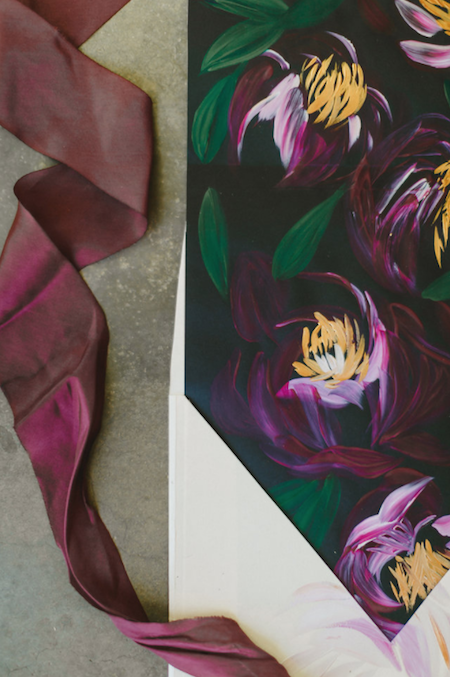 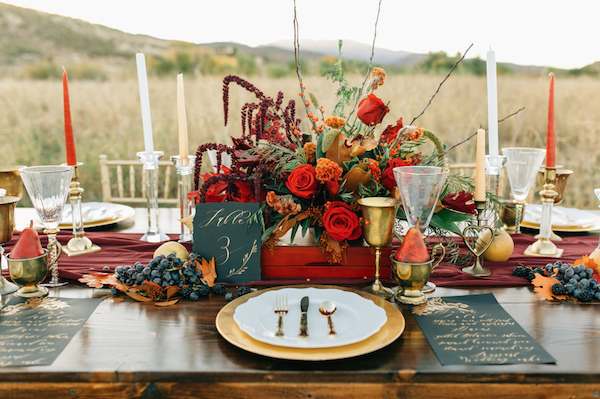 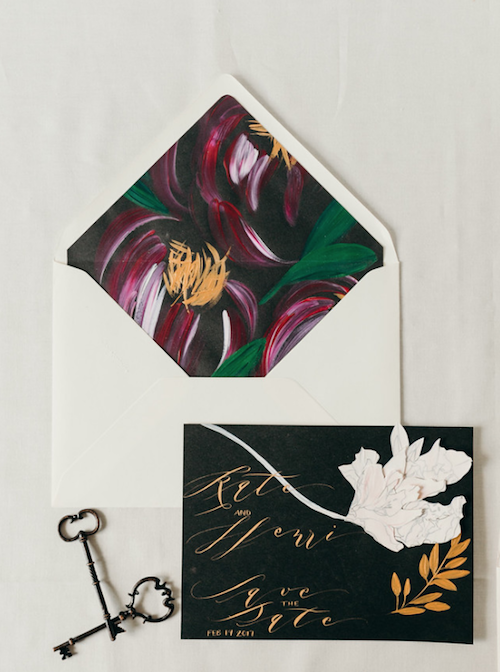 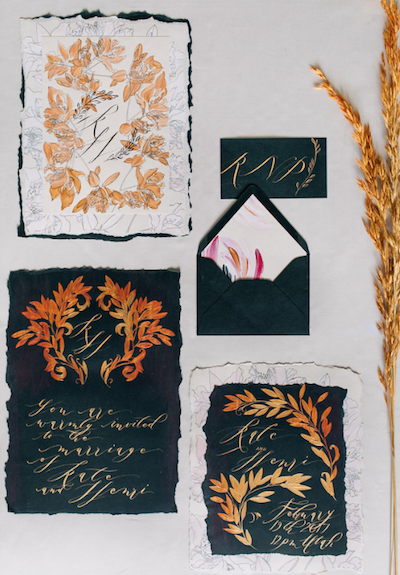 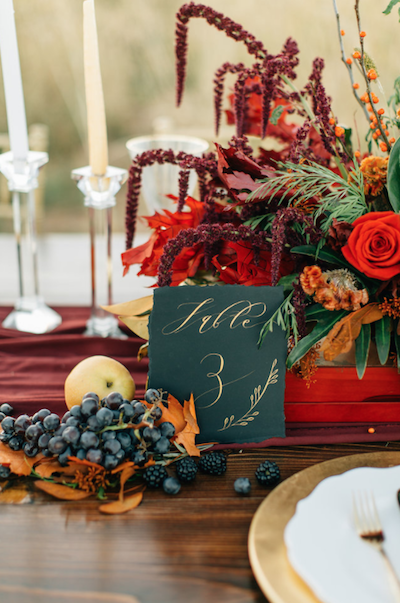 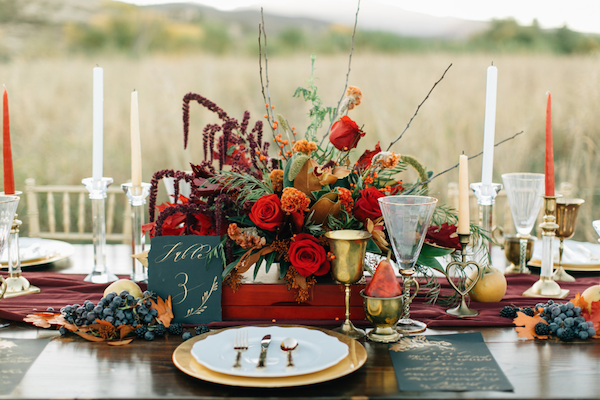 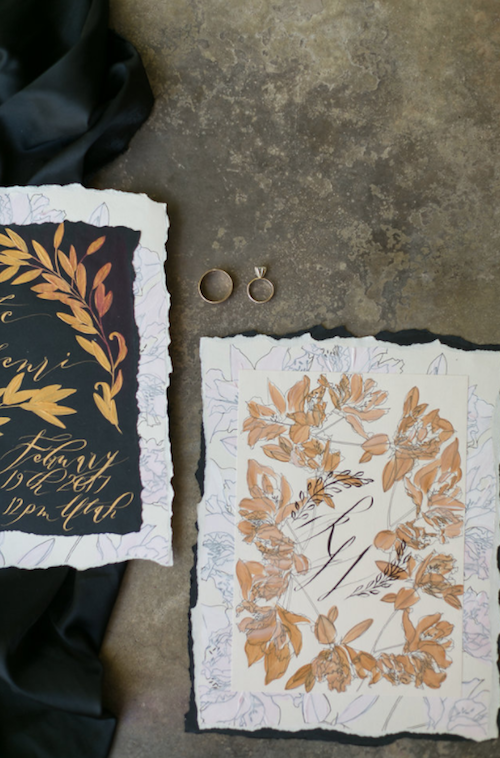 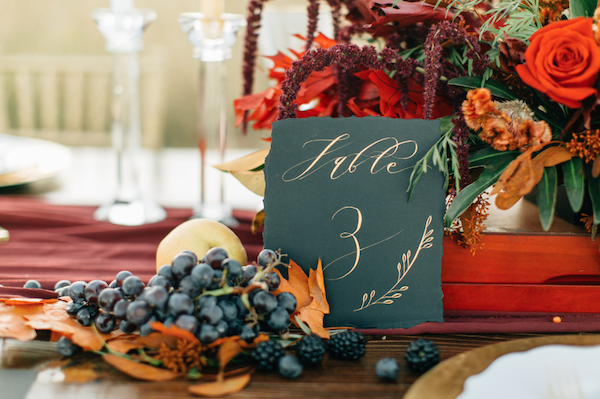 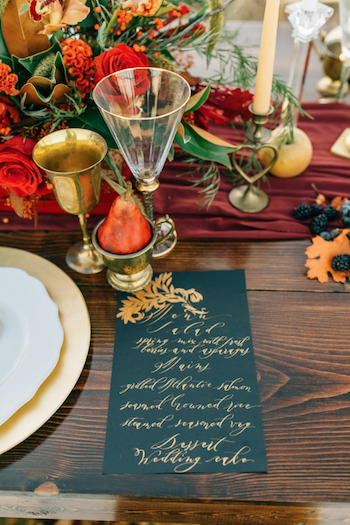 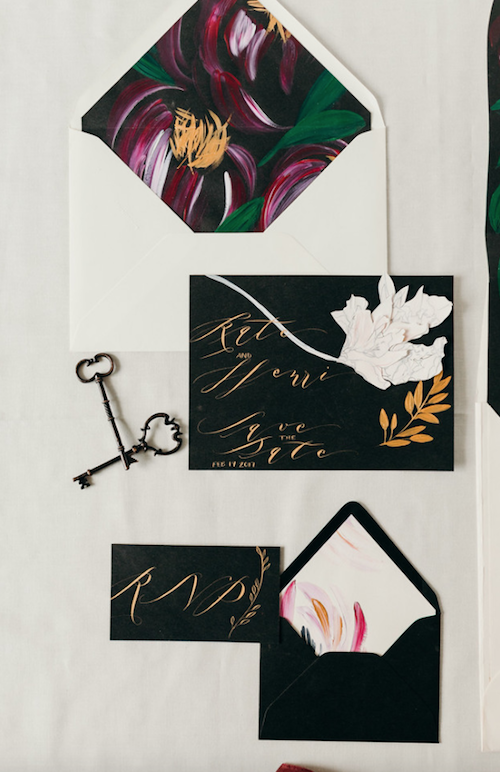 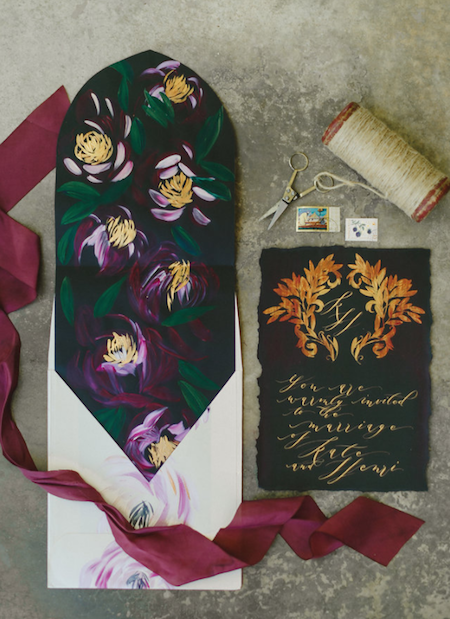 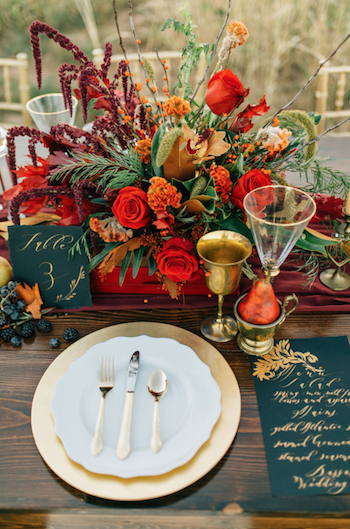 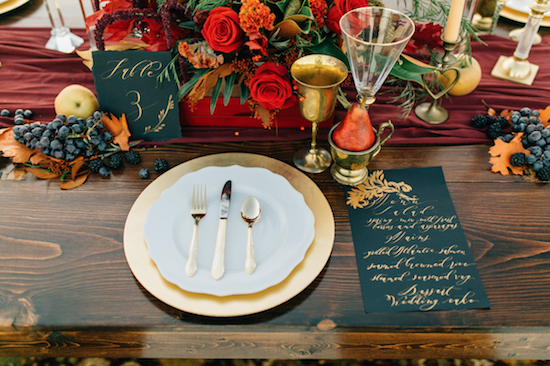 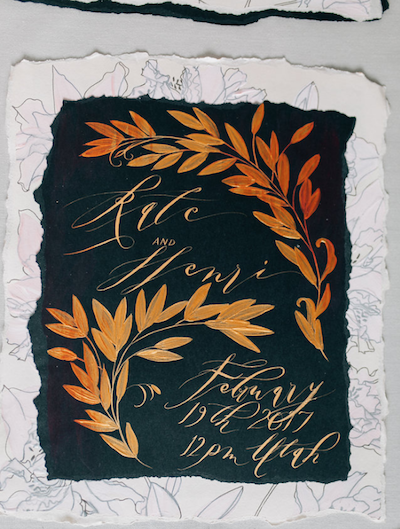 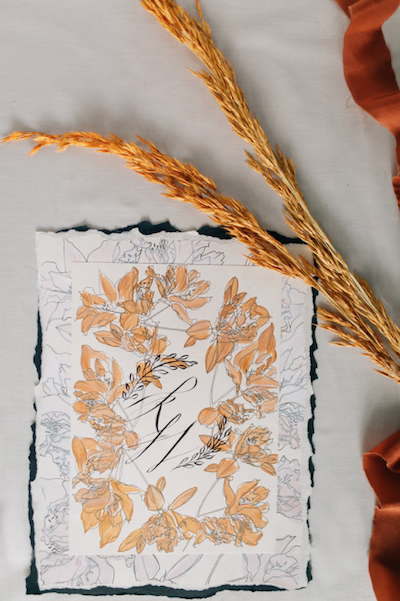 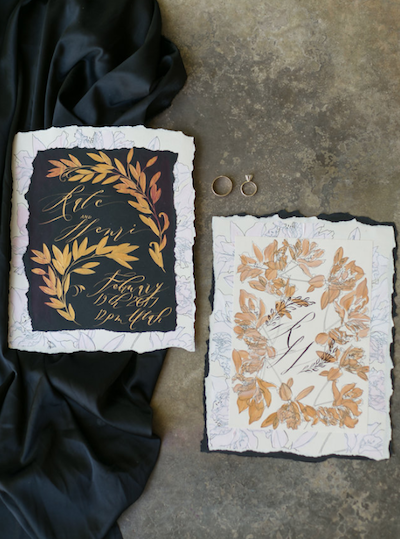 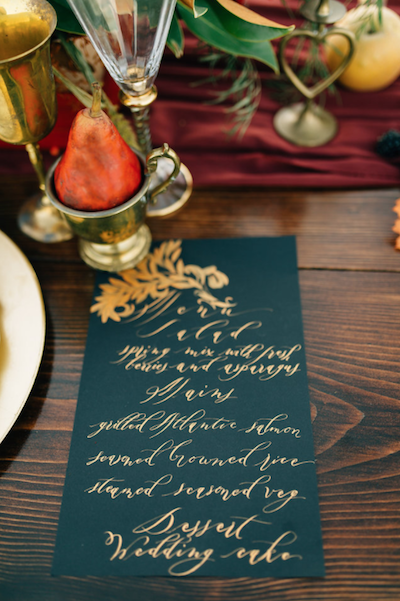 Featured close to Thanksgiving, this Thankful for Love style shoot using hues of vibrant reds, deep plum, brilliant orange, luscious sage greens, sun baked-burnt yellow, tarnished gold paired skilfully with onyx black, purples and the most exquisitely designed hand painted wedding invitations to match, this Autumnal style shoot adds a real wow factor with droves of elegance to an otherwise overused theme. 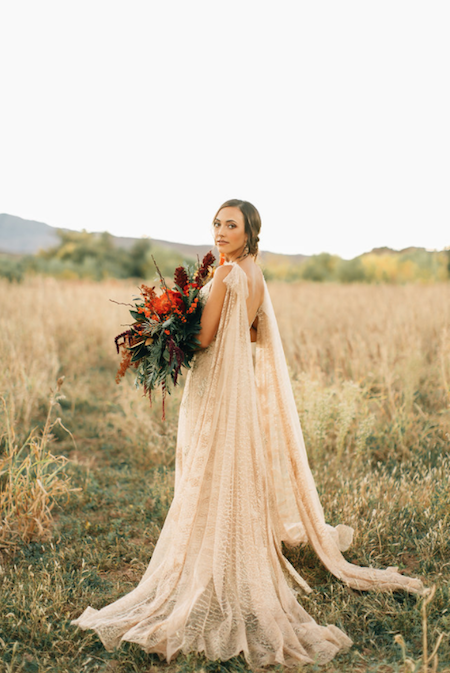 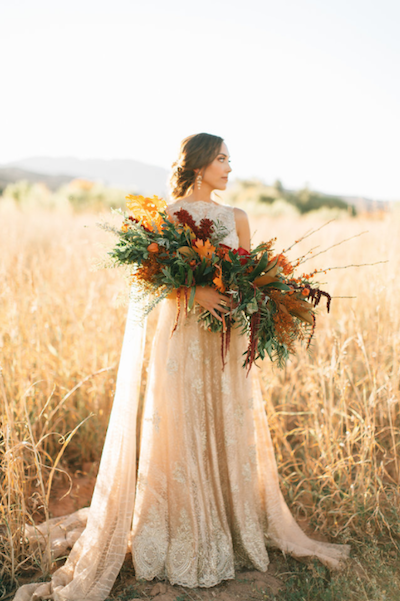 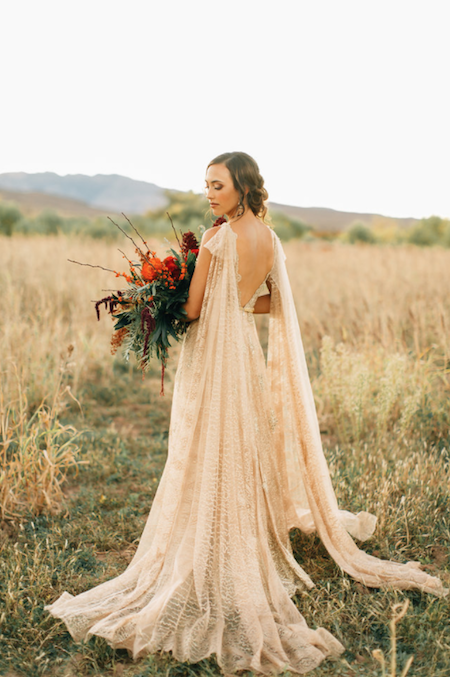 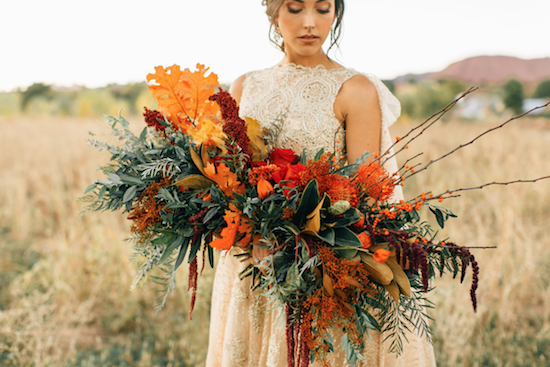 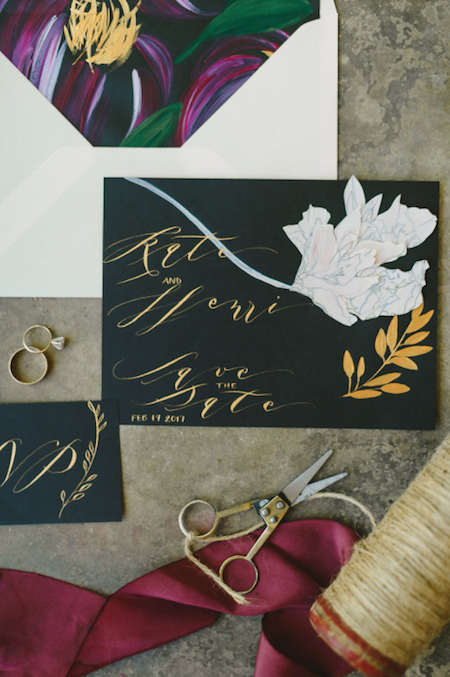 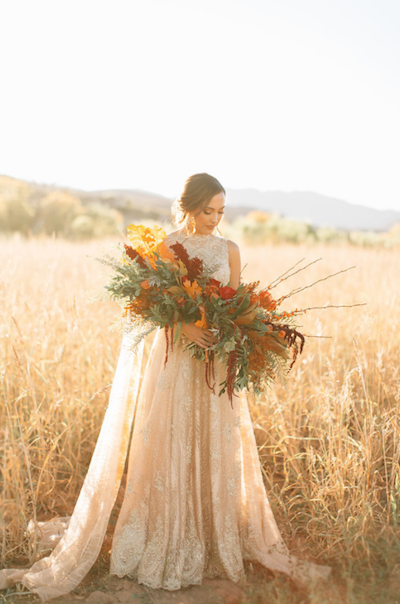 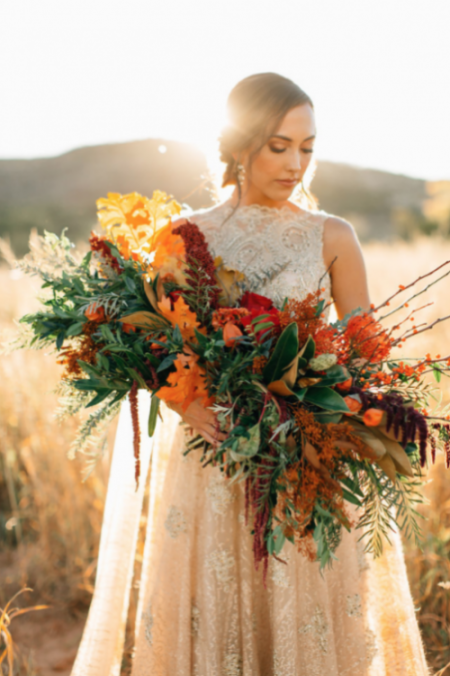 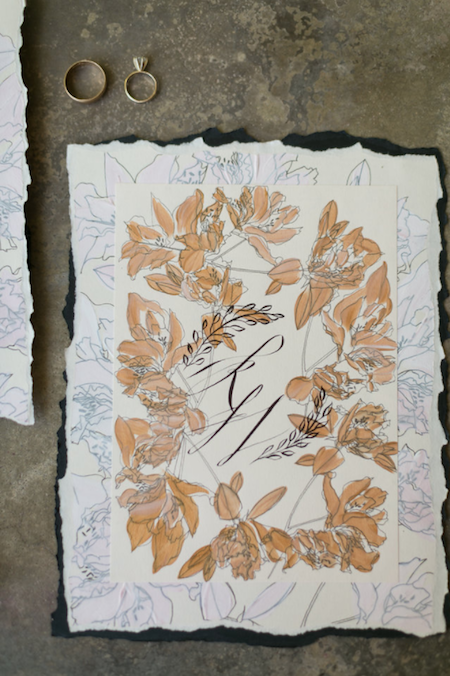 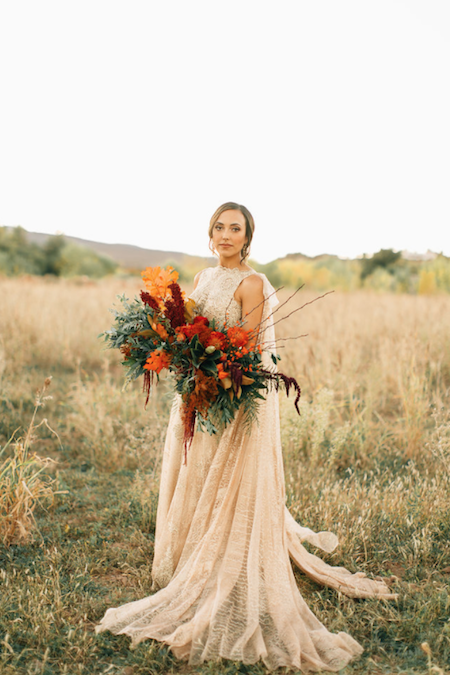 This style shoot was featured on two wedding blogs, Utah Valley Bride & Ruffle Blog. 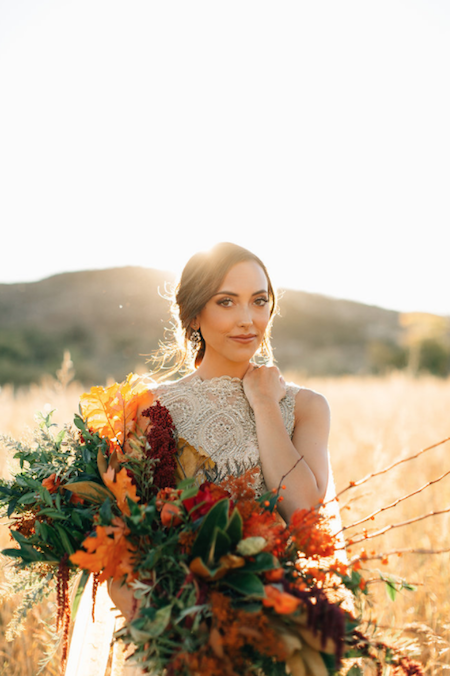 Shot during gold hour, the sun plays its own part with bursts of sun rays radiating throughout the shoot.